Yiddish Proverb: The sea has no shore — the Torah has no end. דער ים איז אָן אַ ברעג — די תּורה איז אָן אַן עק. Der yam iz on a breg — di toyre iz on an ek. 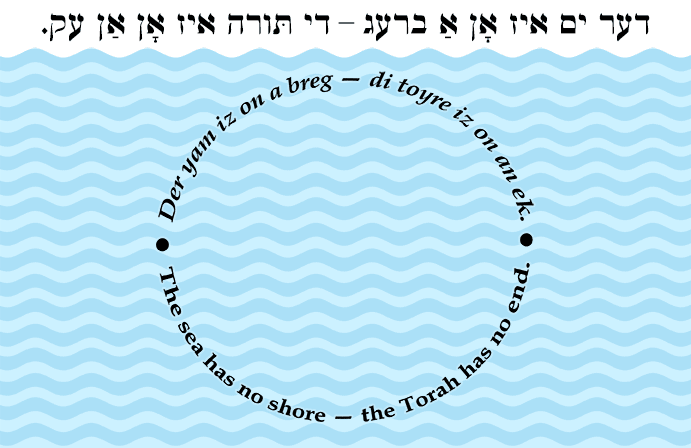 The sea has no shore — the Torah has no end.